Hi there friend! Thank you for joining me for the 3rd episode in our social selling series. In episode 8, the one right before this one, we talked with social selling and LinkedIn expert Brynne Tillman about how to strategically use LinkedIn to grow your sales and your authority. That episode has been very well received and I have gotten a ton of positive feedback from listeners through linked in and email so that’s been great. In fact, it is the most downloaded podcast that I’ve had to date. So if you haven’t already, I would really encourage you to take a listen to that episode – again it’s the episode right before this one – number 8. 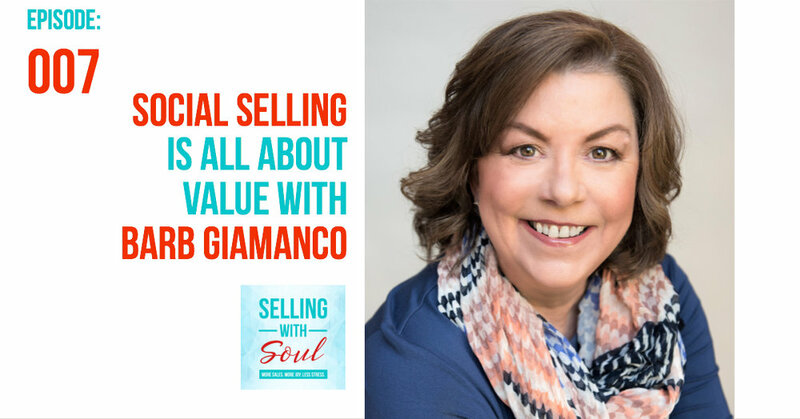 In the first episode of the series, episode 7, “Social Selling Is all About Value”, with sales expert Barb Giamanco we break down how to deliver value in our social selling efforts that will open more doors and build better relationships with our targeted prospects. Its another insightful episode that lays out the foundation of social selling with great examples. Today we are focused on one of the hottest topics in sales and marketing right now and that is how to leverage video in social selling to build relationships and authority and draw leads into your sales funnel. It will come as no surprise to many of you, that video - much like audio, has a profound ability to create connections with your potential buyers. And our expert guest today is just the person to break down the basics of getting started with video. Cheryl Tan has a fantastic background in broadcast journalism, where over 20 years in TV news she perfected her interviewing and storytelling skills. Over the years she has put thousands of people on camera so she knows her stuff. Now she shares those skills with fellow businessowners who want to tell the stories of their companies through video or through the media. Through consulting and done-for-you video services, she helps entrepreneurs be seen as experts in their field - she is on a mission to help people find their voice and bring their stories to life on video. Cheryl is the host of the "STANDOUT with Cheryl Tan"podcast, where she shares strategies you can use right now to get noticed and be seen as a thought leader in your industry. It’s a great podcast packed with valuable tips and best practices. You can catch up on past shows at CherylTanMedia.com. All of that being said, I recognize how important video is for my business and I am dedicated to overcoming the mental roadblocks I have around using video. And I’ve made it a huge part of my marketing plan for the next few months. So if you’re like me, you recognize that you need to embrace video and leverage it in your business and sales routine and are looking for the basics on how to get started this masterclass is for you. Now if you’re one of those people who are comfortable and rocking your videos (you’re amazing! ), stay tuned anyway because I think you’ll find some great nuggets in here to help you refine and improve your efforts as well. This will be a great primer on video. I have my pen and paper out and I’m ready to take notes! Are you focused on growing your sales, business and impact and looking for some quick, actionable advice on how best to move forward? Are you focused on obtaining a big dream client and need some actionable advice on how to get their attention and land the deal? Or maybe you want to drive more leads into your business but need some guidance on where to invest? A strategy session may be just the thing that can help you move forward quickly. It’s a video conference where you and I get together one on one to talk about your specific situation and we detail the actions that you can take to get you to where you want to be. It’s a mini coaching session designed to help you get some clarity quickly. You can find out more and book a session right from my site. I am honored that you have listened horsegirldsi and I am so very grateful for the review and your kind words. We now have listeners from 22 countries and counting which really blows my mind. Thank you to all of you who are tuning in, seeing those numbers every week is so very encouraging to me as I know how valuable your space and time is, I feel so blessed to have you spending some of it here with me. Hey there friend - welcome to the second episode in our social selling series. Last week in episode 7, we reviewed the basics of social selling – what it is, what it isn’t and how it all comes back to relationship building. If you’re interested in really understanding how to use digital platforms to grow your revenue, I highly suggest reviewing the episode right before this one with sales expert Barb Giamanco. This week’s episode continues the social selling conversation focusing on what I consider to be an indispensable, yet underutilized tool for anyone in operating in the business to business space. And if you’re not in the business to business space, you’ll still get a ton of value from this episode as well because there are a ton of best practices sprinkled throughout this interview that you will be able to apply to social selling efforts in your consumer business as well. In this episode, we are going to dive in on how to use LinkedIn to grow your business. LinkedIn has grown into a premier digital platform for business development and it has the ability to transform your sales process - yet very few of us are fully using the power of the platform to grow our business. I am so excited to welcome top LinkedIn expert Brynne Tillman to the show today. She is an accomplished entrepreneur, the CEO of Social Sales Link, a successful sales professional, sales trainer and coach spanning 3 decades who has unlocked the power of LinkedIn for business development. She has also authored a comprehensive workbook and guide - LinkedIn For Business Development. I know this is going to be super inciteful and packed with actionable strategies that you can apply to grow your own business! 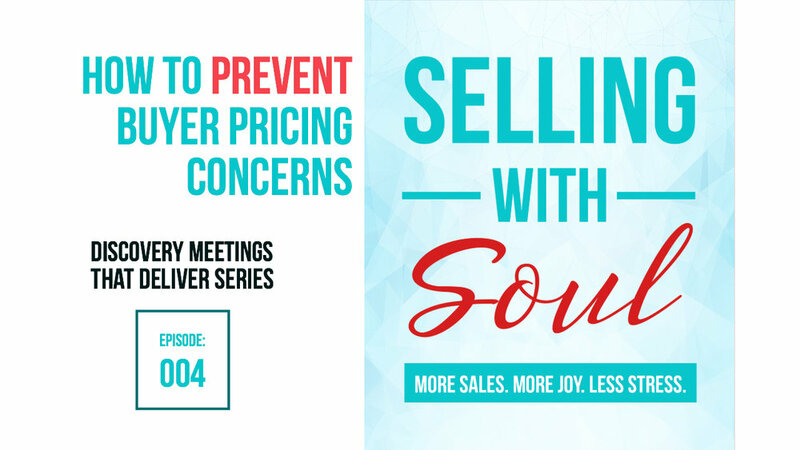 This week I had the amazing honor of joining Victoria Dew, from Dewpoint Communications and her Thriving Soloprenuer Group in Boston for an interactive session focused on how solopreneurs can effectively sell. It is a great group and I had a fantastic time learning about each of their businesses and the revenue goals that they have. Thank you Victoria for having me! If any of you listening are in the Boston or LA areas and are looking for in-person connection, definitely check out Victoria’s groups and events – it’s so important to have a supportive and like-minded community behind you as an entrepreneur. And her communities are all of that. No matter where you live you can also join Victoria’s online Solopreneur Virtual Café community. You can find her group on Facebook. So shout out to the Boston Solopreneur group – thank you for attending. And I am super excited to get to know a few of you even better in our upcoming strategy sessions. Gina from Grow Voice and Ned from Last Mile Insight, I am really looking forward to our conversations! Are you focused on growing your sales, business and impact? A strategy session may be the thing that can help you move forward quickly. It’s a video conference where you and I get together one on one to talk about your revenue goals and challenges and we discuss some actions that you can take to get you to where you want to be. It’s a little coaching session designed to help you get some clarity quickly. You can find out more and book a session right from my site. I would also like to invite you to subscribe to the podcast. All you have to do, is hit the subscribe button right next to the podcast episode in iTunes ad other platforms and you’ll get all of the revenue generations strategies and skills that you need to build your business. Plus, you’ll be sure to get the special bonus episodes that I am planning for you. And if you’ve found the podcast helpful to your business or your personal development I would so appreciate you taking a minute to give it a 5-star rating. And if you feel that I’ve earned it, I would be so honored if you left a review to help the podcast grow and find others who may benefit from the information as well. Welcome to the first episode in my new series on social selling. Social selling is such a hot topic these days, from the tools to the methods – it seems like everyone is focused on leveraging social media for revenue generation. Social selling is a powerful tool that can help us cut back on those awkward and pushy sales conversations - it can decrease stress and allow us to elevate ourselves above the noise that our buyers are constantly surrounded by. In this series we are going to examine the basics of social selling, we are going to talk about how LinkedIn is a powerful tool for those of us with a business offering products and services to other businesses, the power of video in social selling and a whole lot more. It is an honor to have, sales expert Barb Giamanco on the show today. Aside from being a successful female entrepreneur and accomplished sale expert helping more women find success in sales - she knows all about Social Selling – because well she wrote the book on it - literally! We even have a beautiful conversation around value – providing it, recognizing our own and having the confidence to negotiate for what we are worth. Listener shout out of the week! Thank you JV Crum – I love and appreciate all reviews but I especially enjoy the ones that come from my brave males listeners and I applaud the support they show for female business owners. As of the recording of this episode in early September 2018 we are up to 35 5-star reviews in iTunes and have gotten downloads from 16 contries. The response has been amazing and I couldn’t be more grateful for the positive words, the encouragement and the time that each of you has spent here with me. I know how valuable your time is and I make it my mission to provide you with value and expertise to help you grow your business. 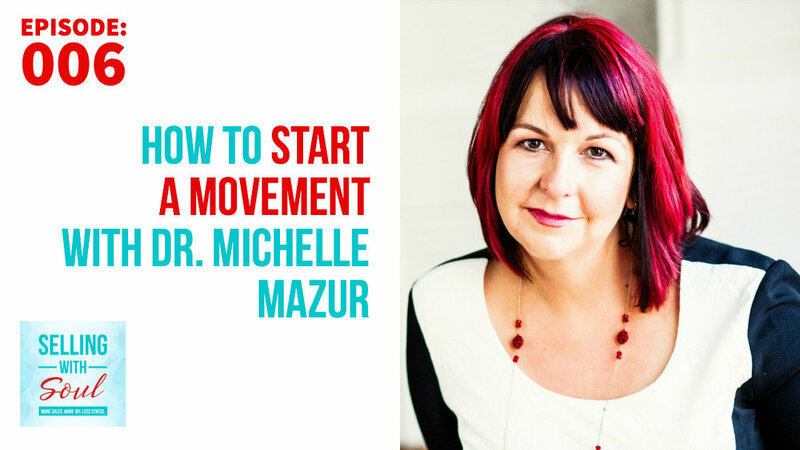 My guest today, Michelle Mazur, tells us that we all have a movement living inside of us and discovering it is the key to building our business and our sales. Do I have your attention? Michelle is the founder of Communication Rebel where she helps business owners and speakers rebel against the status quo to make a difference. She helps them craft their 3 Word Rebellion, rebellious talking points, and a speech that incites action and generates revenue. Her rebel yell has appeared in Fast Company, Inc., Entrepreneur, PR Daily, and Business2Community. Michelle delivers tremendous value in this episode…she breaks down how to use your unique voice to become a change agent, create movements and sell more in a respectful and joyful way. We also take a few minutes to keep it real and dive into the importance of letting our emotions and stories show, our own mindset challenges and how we work on overcoming these challenges every day. This episode is sponsored by my fall workshop, “2019 Revenue Roadmap”, which is currently enrolling. It’s a full day virtual workshop dedicated to helping you pull together your 2019 revenue goals craft a sales and marketing roadmap to get you there. Click here to sign up. Are you subscribed to my podcast? If you’re not and you find this valuable, I want to invite you to do that today. I don’t want you to miss an episode. Click here to subscribe in iTunes! Now if you’re really feeling the show, I would be so super grateful if you left me a review over on iTunes, too. Those reviews help other people find my podcast and selfishly, I would really appreciate the feedback on the show and the motivation I get from knowing I am making a difference for you. Just click here to review, select “Ratings and Reviews” and “Write a Review” and let me know what you enjoy about the podcast. Thank you! Thank you JoeB29! You’re kind words mean more to me than you’ll ever know! Ever wish that you could understand what was going on in the brain of your potential buyer so you can lead, influence and sell more effectively? In this value packed episode, marketing and behavioral economics expert Melina Palmer breaks down how our brains work while making purchasing decisions and how we can make shifts in our sales and marketing efforts based on the science in order to increase our revenue. Melina and I dive into the top 3 behavioral economics principals that we all need to incorporate into our businesses for increased sales. Melina breaks down the concepts of anchoring, adjustment, and relativity and how to strategically price and position your offerings to increase your sales. Melina shares success stories and lessons learned from several women who have implemented this principals successfully. Questions are the most powerful tool that you have in your sales tool box. But do you know what types of questions to ask, how to ask and when? Thankfully, we have a special guest today to help us get smart on all tings questions! Deb Calvert, sales expert and author is a special guest today. Author of the book, "DISCOVER Questions Get You Connected" Deb literally wrote the book on how to use questions to generate revenue. Deb and I get really detailed on the science of questions. We breakdown why questions are so powerful. We cover the best types of questions to have in our toolbox and why there actually are "bad questions". We also touch on how the right mindset is critical for business success. How to comfortably ask for the business and what to be on the look out for. I even get a little coaching on why one technique that I have used for years should be thrown out. Don't miss it! This is the third part in our series “Discovery Meetings That Deliver” a whole series dedicated to giving you everything that you need to lead sales and discovery meetings that deliver value and respect to your potential buyer and dramatically increase the likelihood of you gaining a new client. Interested in having more effective and and comfortable sales conversations? Or maybe you aren't sure if you should start building discovery calls into your business generation process? This is the second part in our series “Discovery Meetings That Deliver” a whole series dedicated to giving you absolutely everything that you need to lead sales and discovery meetings that deliver value and respect to your potential buyer and dramatically increase your likelihood of you gaining a new client. This is the first part in a new series “Discovery Meetings That Deliver” a whole training series dedicated to giving you absolutely everything that you need to confidently and authentically lead discovery meetings that generate real results – while staying true to your voice and values. That's what being in business is all about, right? Doing good and feeling good while doing it. We are kicking this series off with a focus on the foundation for all of success – mindset.